Owen Paterson appeared recently on the Andrew Marr Show to talk about the EU Referendum and the conditions he is pushing for within the rules of the referendum. 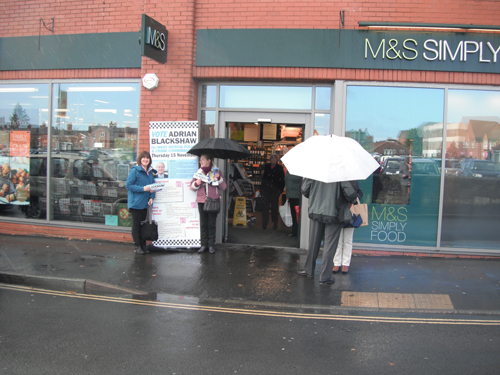 Conservative Police & Crime Commissioner candidate was out in Oswestry on Friday 2nd November. With the help of local members, who were distributing election literature, Adrian was meeting with local people to encourage them to vote for him in the elections on the 15th of November. It was interesting to note that the recent Business Crime Index Survey from Axa Insurance showed that levels of business crime are increasing. This summer, David Shaw, The Chief Constable of West Mercia, has launched a campaign to drive down town and city crime by ensuring his officers are more visible on the streets. "The Chief Constable and his teams should be congratulated on their excellent "Summer Presence" campaign which targets drug related crime, violence and disorder during the summer months throughout West Mercia." 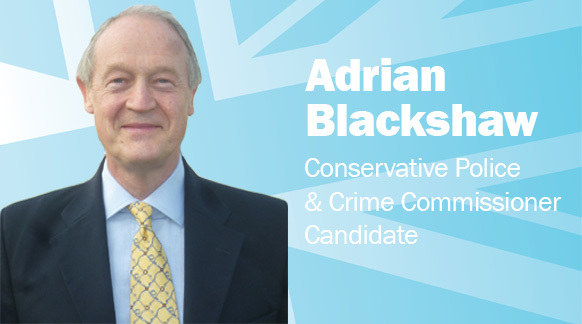 says Adrian Blackshaw, the Conservative candidate for Police and Crime Commissioner for West Mercia. Following a selection procedure the Conservative candidate for the November Police and Crime Commissioner elections has been chosen. Cllr Adrian Blackshaw from Hereford has been chosen to fight the election. A press release can be found here. Members of the Conservative Association in each of the 13 constituencies within the West Mercia area will be eligible to attend and vote at any one of the five Hustings meetings being held within the force area. 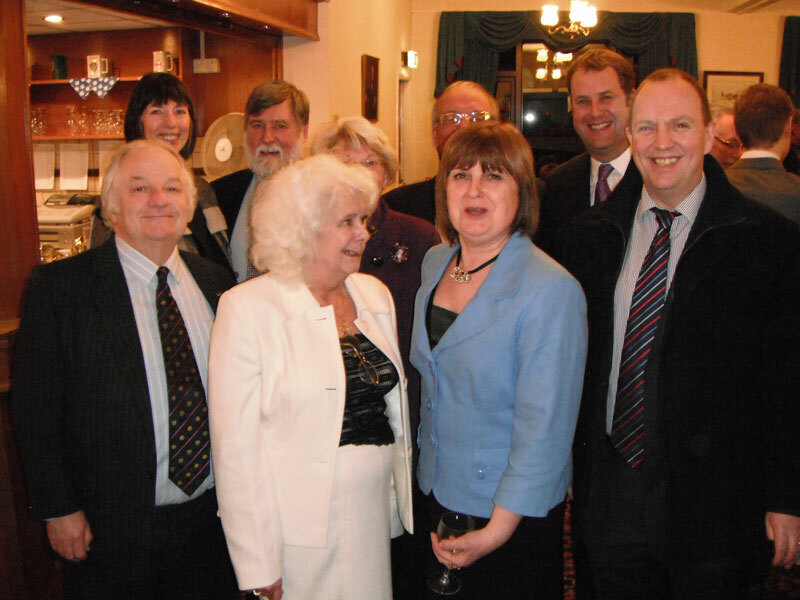 The election for the first Police & Crime Commissioner for West Mercia will be held on 15th November 2012." 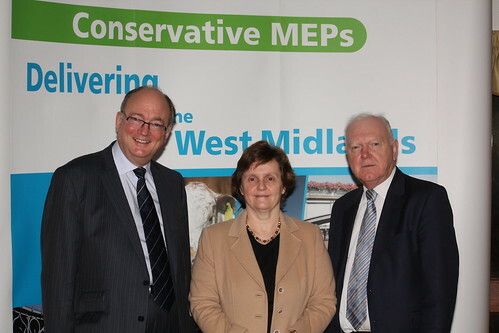 Our Conservative MEP Team for the West Midlands of Malcolm Harbour, Philip Bradbourn and Anthea McIntyre are organising an exciting trip to the European Parliament in Brussels. If you would like information about the trip and a booking form please click on the links below. The organisers are trying to finalise the numbers by the end of January so don't delay, book today. Unfortunately this trip has now had to be cancelled. A replacement trip is planned and will be advertised when arranged. Officers from the North Shropshire Conservative Association attended a reception held recently with Prime Minister David Cameron the star attraction.